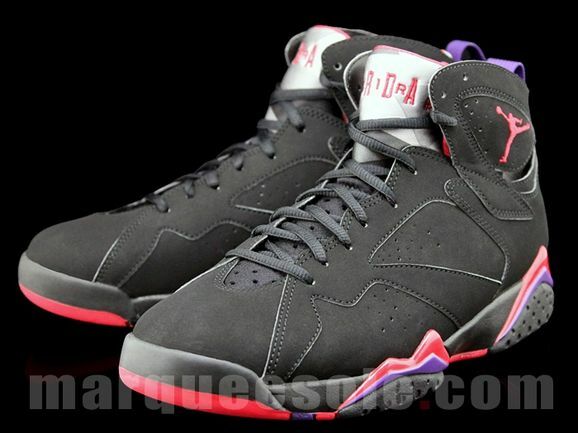 The Air Jordan 7 ‘Dark Charcoal’ surfaced this past weekend, with a small preview that finally confirmed the colorway to be just like the Air Jordan 7 from 2002. 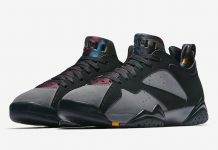 Now we know we’ve been flooding the internet with detailed images of this Air Jordan 7, but this photo set is by far the most detailed yet. 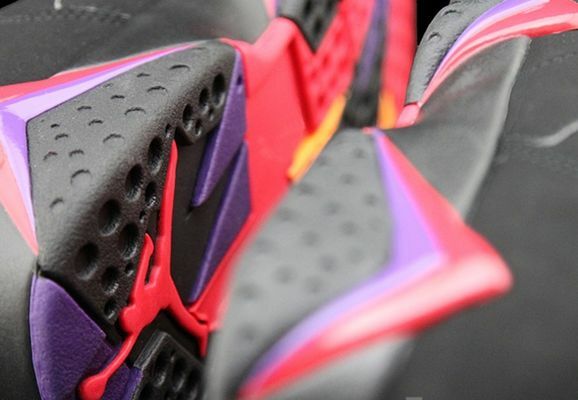 From nubuck uppers to the multicolored outsole, this Air Jordan 7 is the closest to the 2002 version by far. 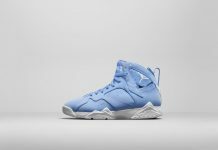 There might be a few slight differences here and there, but rest assure that this Air Jordan 7 will become another instant sell out come September 1st. 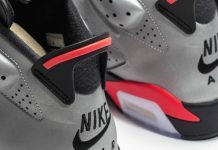 The material is difffrent from the 2002 version it looks more like the same material jb used on the retro viii playoffs!!! 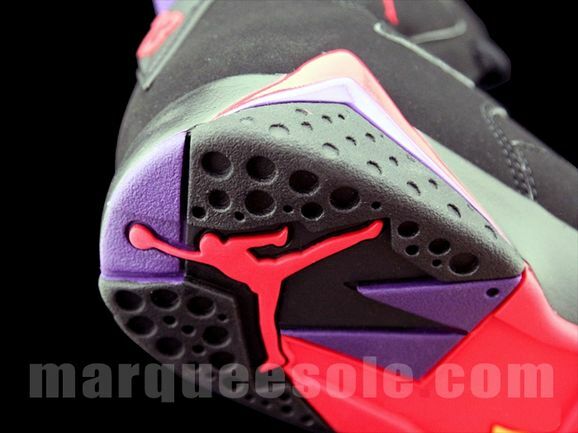 The other diffrences that i noticed was the color of true redaccents its alot brighter than 2002 raptors!! 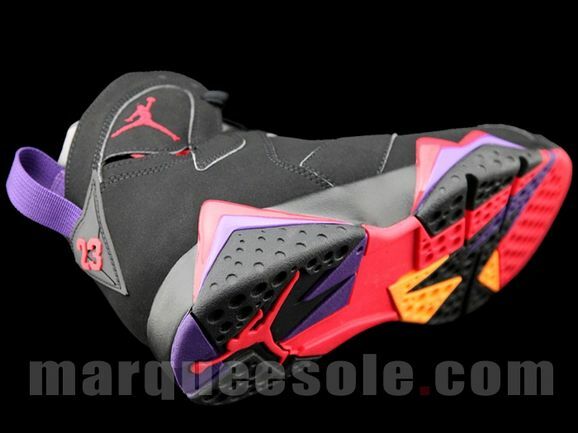 must cop for me! 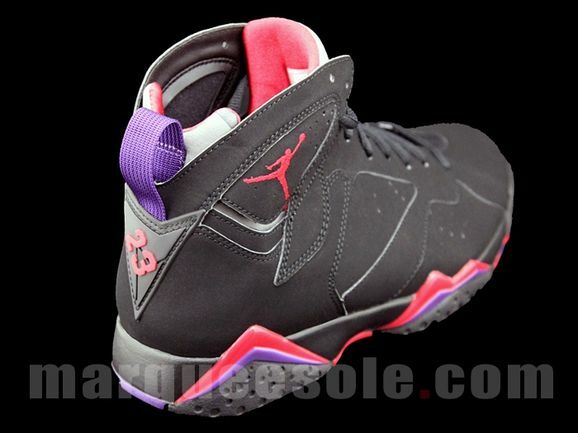 all black…i am pumped..pretty much on point to the 2002 raptors! love it! So obviously the theme for the 7’s is 1992. 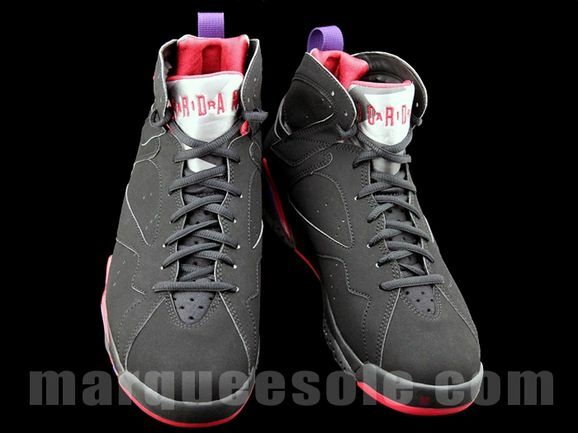 So with that said, with the release of the Olympic 7 and the Char/Rap (whatever you wanna call’em) 7’s does this mean we should be expecting a release date for the “HARES” sometime this year or next? Man a holiday release would NIiiice! get rid of those laces !!!!!!!!!!!!!! !